World Bank & IMF: The World Could Be Heading For Another Financial Crisis, Volatility Products Loom As Next Big Market Shock… Any Time Now? 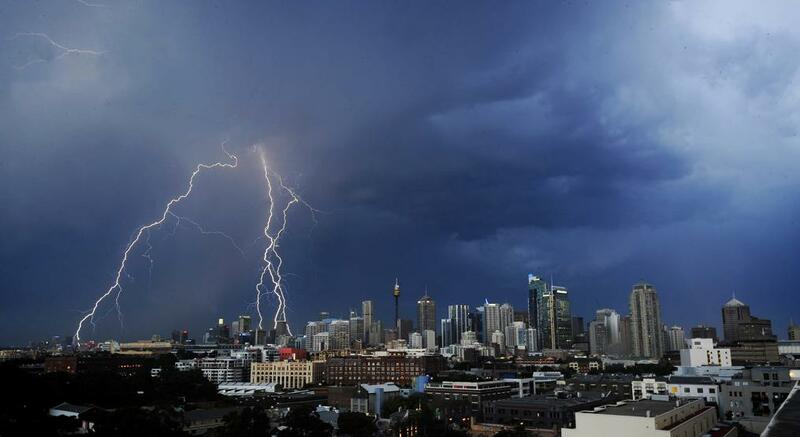 The World Bank has warned that unless countries across the globe address issues relating to borrowing, the world could be heading for another financial crisis. In its World Economic Outlook report for October 2017, it noted that discouraging further debt build-up through measures that encourage business investment and discourage debt financing will help curb financial risk taking is the only solution out of a potential crisis, news outlets reported. In its ‘Africa’s Pulse’ report released earlier this month, the financial institution had warned on the growing debt overhang and how it was impacting negatively on development. Interestingly, there are fervent calls for the federal government to cut down on its borrowing which many economic watchers say is sustainable. The report also noted the need for monetary and fiscal authorities to provide clear paths for policy changes as it will help anchor market expectations and ward off undue market dislocations or volatility. According to the World Bank, central banks should ensure a smooth normalization of monetary policy through well-communicated plans on unwinding their holdings of securities and guidance on prospective changes to policy frameworks. “Financial authorities should deploy macro-prudential measures, and consider extending the boundary of such tools, to curb rising leverage and contain growing risks to stability. The International Monetary Fund has warned that the increasing use of exotic financial products tied to equity volatility by investors such as pension funds is creating unknown risks that could result in a severe shock to financial markets. In an interview with the Financial Times Tobias Adrian, director of the Monetary and Capital Markets Department of the IMF, said an increasing appetite for yield was driving investors to look for ways to boost income through complex instruments. Equity market volatility has plumbed to its lowest level in a decade, with the Chicago Board Options Exchange’s implied volatility index, also known as the Vix, sitting at a level close to 10 compared with an historical average of about 20. William White, chairman of the OECD’s review committee and former chief economist of the Bank for International Settlements, who suggests the stresses in the financial system are now “worse than it was in 2007”. It’s going to take more than the biggest stock slump in world history to convince analysts that PetroChina Co. has finally hit bottom. 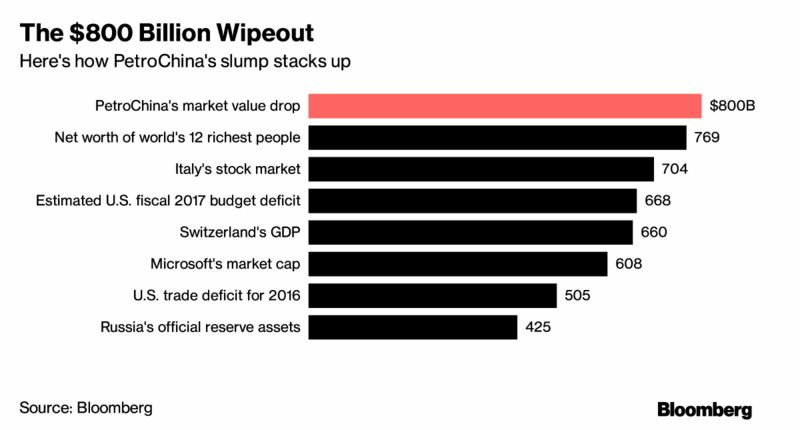 Ten years after PetroChina peaked on its first day of trading in Shanghai, the state-owned energy producer has lost about $800 billion of market value — a sum large enough to buy every listed company in Italy, or circle the Earth 31 times with $100 bills. In current dollar terms, it’s the world’s biggest-ever wipeout of shareholder wealth. And it may only get worse. If the average analyst estimate compiled by Bloomberg proves right, PetroChina’s Shanghai shares will sink 16 percent to an all-time low in the next 12 months. Venezuela is strapped for cash. And the country is facing deadlines on critical payments that, if missed, would result in the country defaulting on its debt.